This review that originally appeared in Critics at Large is somewhat different than previous entries on this site because it reviews the memoir of an actor and activist who used both his art and his philanthropy to assist in the rebuilding of a community devastated by Katrina. Rarely does a memoirist write so passionately and eloquently as actor Wendell Pierce does about the power of art in his The Wind in the Reeds: A Storm, A Play, and the City That Would Not Be Broken. His subtitle reveals the one of its two interrelated subjects: the aftermath of Hurricane Katrina that barrelled into a vulnerable New Orleans in August 2005 turning what should have been only a natural disaster into a social, political and environmental tragedy killing fifteen hundred people. The second is a poignant love letter of sorts to his mother and father, both towering influences in his life and who owned a “modest little house” since 1953 in the Pontchartrain Park neighbourhood, the first African American middle-class subdivision in New Orleans, and the site of some of the worst damage. Pierce, probably best known for his role as detective Bunk Moreland in The Wire and trombone player Antoine Batiste in Treme – two superb television series – is a native New Orleanian and therefore responds viscerally to the cataclysm that decimated his neighbourhood and city. He begins his memoir with an event that likely inspired it: a performance of the play Waiting for Godot that was staged in 2007 (Pierce plays Vladimir) as a street production in sections of the city virtually destroyed by the hurricane and the breach of the levees. The existential Godot, written by Samuel Beckett and first performed in Paris in 1953, is about two men feeling a sense of desperation and loss, and waiting for someone to help them. Pierce remembers that occasion as the “most transcendent experience” in his life, imparting to him “a spirit of resurrection…that breathed life into [his] bones,” and it seems to have had a similar effect on the community as well. That occasion galvanized him and others to become involved in the city’s restoration. But that moment inspired another epiphany: that whatever creative strengths he possessed derived from his roots, and what better way to explain the man and the artist he became than to mine their stories starting with the boy who was born a slave and would become his great-grandfather. In succeeding chapters, Pierce relates the stories of his ancestors: from that boy who with his mother was sold from Kentucky down the river to Louisiana, the humiliations and fear that his grandparents experienced during the Jim Crow era, and the struggle of his parents during the early civil rights period. His grandparents enabled their children to survive the all-encompassing power of whites under Jim Crow by instilling in them an inner strength. “Can’t” was not a permissible word as they imbued them with the importance of education. As a child, Wendell learned from his own parents how to respond to racism. Master your anger, never let it master you. Throughout, Pierce reiterates the importance of stories – if we forget them, we forget who we are – the strength of family that can never be taken for granted, the support of community, and the value of land ownership, hard work and high expectations. When he relates the lives of his parents, his memoir becomes deeply affecting. His father, who served in World War Two, was denied his medals until late in his life because of his race. He abandoned a career in New York as a photographic artist to return to New Orleans and marry Wendell’s mother, something that Wendell only discovers as an adult after finding some of his father’s images rummaging in a drawer. He worked two jobs to keep them in their home and to provide for his three sons. Again Wendell did not know about the night job until he became an adult. His mother, Tee, was the first of the family to attend university and become a school teacher because she believed that education was the best weapon for fighting racism. She would never accept excuses from her students or her three sons. Both parents had the “Conversation” with him to impart strategies on how to respond to the inevitable racist hazing he would encounter at school and to those people “who did not have our best interests at heart” with the goal of developing a capacity to prevail over adversity. Along with developing a strong interest in reading, music and the power of poetry, Wendell, after graduating from high school, possessed sufficient talent to win a slot at Juilliard to study drama and launch a successful acting career. In the middle chapters of the memoir, the passion that has animated Pierce slackens. His recollections about the acquisition of his theatrical skills, his friendship with trumpeter, Wynton Marsalis, and his tribute to his intellectual mentors – the African-American musical critic and public intellectual, Albert Murray, and the dramatist, August Wilson – are interesting and informative, yet something feels missing. Perhaps the absence of pictures of his family and some of the other people who populate his narrative keeps us from gaining an even greater understanding of the struggles of his upbringing and his early career in theatre and films? Or he might have shared something about his personal relationships, lovers or possible children. He does reveal a couple of dustups that he had with the police and a physical encounter with a taxi cab driver making us wonder whether he has mastered his anger, ironically occurring shortly before he was picked by David Simons, the creator ofThe Wire, to play a police detective. When he prepares for the role by spending time patrolling with the Baltimore police and participating in the interrogations of suspects, he begins to recover his mojo. He does learn from them a valuable insight: that these African-American criminals are not part of that community but a threat to it, and that threat was a motivating factor for many of them to join the force. 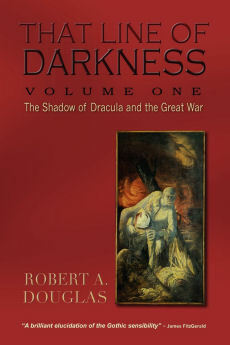 In his chapter on this ground-breaking, multi-plotline series, Pierce demonstrates his argument that it was not mere entertainment but a work of art that is rightly studied in university courses. 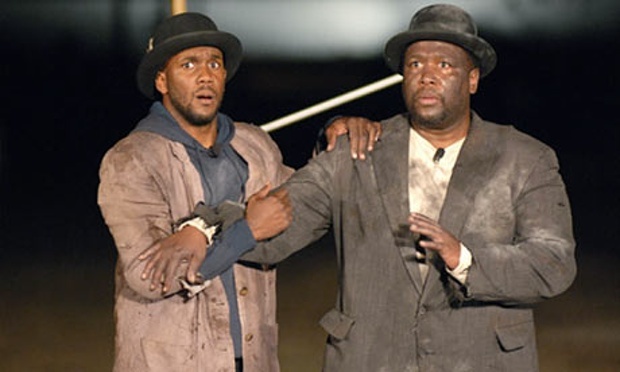 In the last section, Pierce revisits Katrina and Godot to offer more textured detail and depth, which then segues into Simons’ next creation, Treme, the dramatic series about artists rebuilding their lives in post-Katrina New Orleans, and his own role in community restoration. 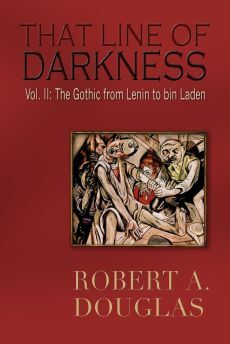 Pierce not only resurrects the passion he demonstrated earlier, but these chapters resonate more fully with the reader because of the earlier narration. On a vacation when the storm broke, he had just arrived in New Orleans to visit his elderly parents. Fortunately, by driving them out of the city to spend time with relatives seventy miles away, he was able to spare them the agonizing hardships that followed the storm when the shoddily-built and poorly maintained flood walls collapsed. Pierce does not dwell on the immediate post-Katrina neglect, but filmmaker, Spike Lee chronicles the harrowing trajectory from the storm to the appallingly paltry political responses in his epic 2006 documentary, When the Levees Broke: A Requiem in Four Acts. Along with the interviews of ordinary residents and politicians at the local and state level, he films heartrending shots of a city that resembles a disaster scene or war zone from a third world country. The media reinforces the social and racial disenfranchisement of the poor and black by breezily dismissing them as “refugees” as though they are the foreign other rather than American citizens. Federal agencies and officials from Bush downward repeatedly demonstrate tone deaf indifference and egregious incompetence. Adding to the confusion and chaos is the spectacle of the politicians’ inability at all levels to set aside their own rivalries and resentments and commit all available resources to providing not only immediate relief but long term restoration. Instead, what we witness is a half-hearted and insensitive response when buses tardily arrive to take traumatized people to the airport and officials make no effort to ensure that families are kept together. When some of the dispossessed victims trickle back into to New Orleans, they experience grief, despair, and in some cases exhibit symptoms of posttraumatic stress. Phyllis Montana Le Blanc and Wendell Pierce in Treme. Like the individuals profiled in Lee’s film, when Pierce drives his parents back to their flood-ravaged home and they witness the extent of the Lower Ninth Ward submerged under twenty feet of water, their spirit also buckles. In a moving sequence in Lee’s film, the camera pans the destruction of Pierce’s childhood home and then the actor reveals to the camera that his parents’ insurance company was only going to pay a small fraction of the payment they expected even though his father had been paying premiums for fifty years. In his memoir written years later, Pierce does not mention this painful memory but instead registers a different tone by remembering his ancestors and how the “tenacity of their hope drove them forward.” He rekindles that gritty determination and vows that he will give back to his parents for everything that they instilled in him by resettling them in their home, and that he eventually does. In his passages on Godot, Pierce provides abundant evidence for how the absurdist drama is life-affirming and resonates with local citizens. Some who are not familiar with Godot could believe that it was written as a response to Katrina. He also underscores the drama’s central message that when people feel desperate and abandoned, they cannot wait for others to assist them. In the case of New Orleans, a dysfunctional local government or the federal government in the form of the inept FEMA could not be relied upon. He imbibes that message personally by becoming an activist and forms the Pontchartrain Park Community Development association, a non-profit group that builds affordable energy efficient homes on abandoned properties. Eight years later, Pierce acknowledges that some progress has been made: homes have been built and sold, including one that he purchased for himself, and some social and cultural amenities have been restored, but some houses still remain uninhabitable. Although convenience stores have opened around the city, his attempt to provide a supermarket to service poor working-class people has stalled in large part because of the obstruction of local political bureaucracy that may remind some readers of the portrayal of bureaucracies in The Wire in which often good people lose their moral compass by becoming cynical and indifferent. Pierce’s last chapter includes a couple of vignettes on a hopeful historical moment: the 2008 Presidential campaign, in which he and his brother Ron worked as volunteers, and the aftermath of Barack Obama’s election victory. Pierce persuades his parents to accompany him and witness the inauguration. That experience and a later visit to the White House in which Pierce, known as a super Saints fan, arranges three invitations to a short ceremony where Obama honours the 2010 Super Bowl victory of the New Orleans football team and thanks Pierce’s father for serving in the Second World War are sweet moments in the memoir. For his parents who grew up poor in the urban and rural segregationist south, both occasions are emotional epiphanies. Pierce’s account of attending the inaugural may remind readers of the final moments in Lee Daniels’ 2013 film The Butler in which the son cradles the head of a weeping Cecil Gaines – the character is based upon the life of Eugene Allen who served eight presidents as a butler – while they watch that historical event on television and who, like Pierce’s parents and grandparents, also witnessed the intimidation, cruelty and violence of the Jim Crow era. 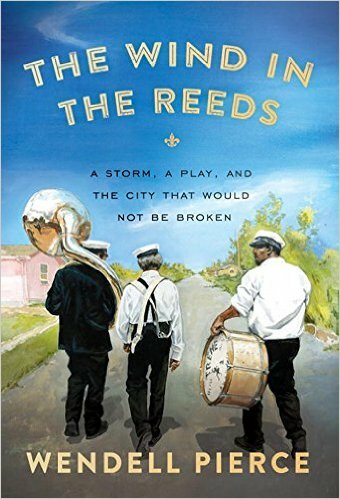 Finishing Wind in the Reeds, we become aware that its amalgam of art, family, history and politics is a sort of intellectual gumbo, a fitting sustenance given that its subject is mostly about the people who live in New Orleans.